Celebrate the BEST FOODIE HOLIDAY EVER with these 10 pizza recipes! 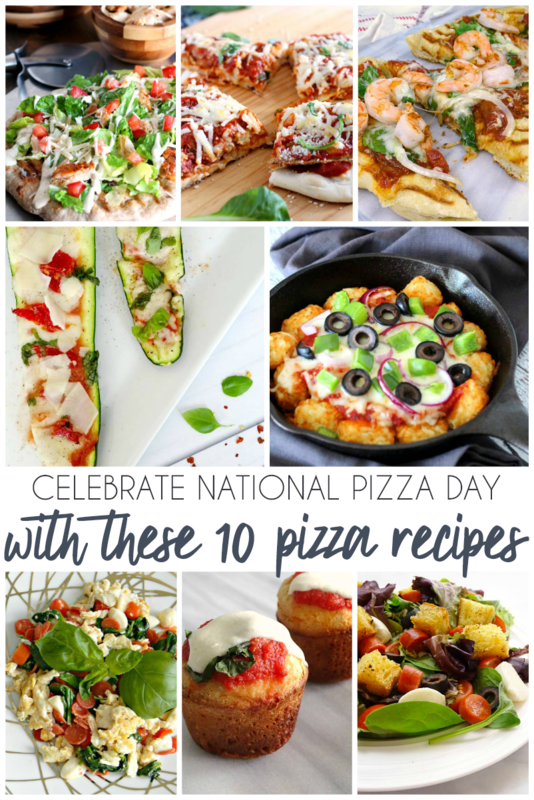 I’ve got everything from pizza pies to pizza inspired dishes to get your National Pizza Day party started! I usually don’t blog on the weekend, but when a foodie holiday this important comes around, it deserves to be celebrated! You know my love for pizza goes beyond just a regular slice of pie. Although there’s nothing better than a crisp crust, perfectly seasoned tomato sauce, and melty mozzarella, pizza flavors can be transformed into so many dishes! We may have celebrated early since Friday night is our dedicated pizza night, but there’s always room for another slice! Get ready to celebrate National Pizza Day with these 10 pizza recipes! When I worked a 9-5:30 office job, there was a place next door that had the best chicken Caesar salad pizza. When I left that job, I left missing a couple of my coworkers and this pizza. So I decided to recreate my own version at home on the grill! Grab the recipe for this Grilled Chicken Caesar Salad Pizza and combine pizza and salad in every tasty bite! You know how much I love my air fryer. Right? Well, have you tried making pizza in an air fryer? Game changer! This Air Fryer Zucchini Parm Flatbread Pizza is so crunchy! It’s a quick and easy lunch or dinner to whip up when the craving for pizza strikes! Grilled pizza is the best pizza. Don’t @ me. There’s nothing better than firing up the grill and infusing that smokey taste into pizza dough. This Grilled Shrimp Bruschetta Pizza tastes like summertime! It’s full of fresh, grilled flavor and topped with succulent shrimp! Doing the low carb thing? You can still enjoy all the flavors of pizza! Just stuff sauce and cheese in a Zucchini Pizza Boat! Bake them up and top with your favorite pizza toppings! Super easy and pizza-rific! Get your potato puff on with this Loaded Veggie Potato Puffs recipe! Take everyone’s favorite puffy potato appetizer and load ’em up with sauce, cheese, and pizza toppings! This is such a fun dish to share…or not! If you want a lighter pizza-inspired dish, try my Pizza Inspired Side Salad. 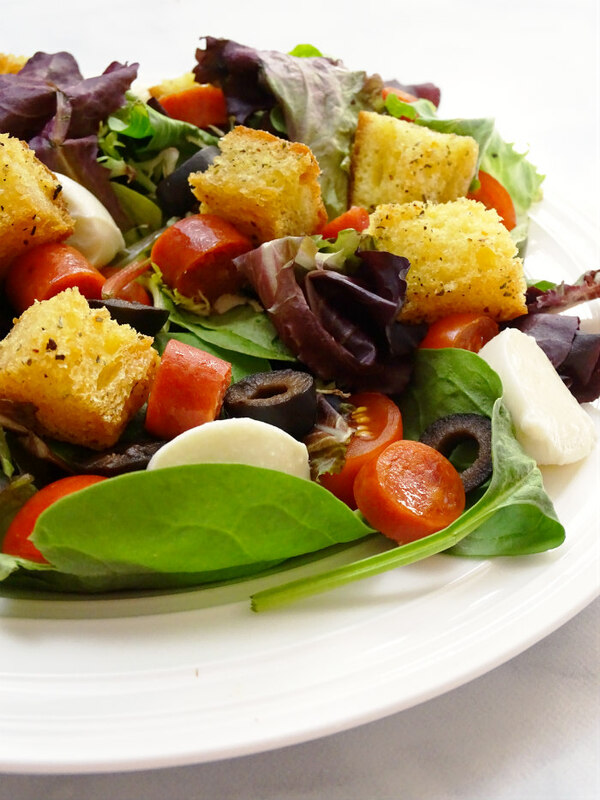 It’s a mixed green salad topped with fresh mozzarella, mini pepperoni, and olives, tomatoes, and homemade croutons! If haven’t convinced you yet that you need to be throwing pizza on the grill, let me try one more time! I absolutely loved this fusion of Mexican flavors and pizza in this Grilled Steak Fajita Pizza recipe. Serve it with icy margaritas to really get your pizza fiesta going! Don’t you just love a good pull-apart recipe? This Easy Pull-Apart Pizza Bake is so much fun and all you need is refrigerated biscuits, sauce, and cheese! This popover recipe came out more muffins, but they were still a lot of fun to eat! No need for a popover pan, just bake these Pizza Stuffed Popovers in a muffin tin and pop them in your mouth! I’m definitely not against having pizza in the morning. 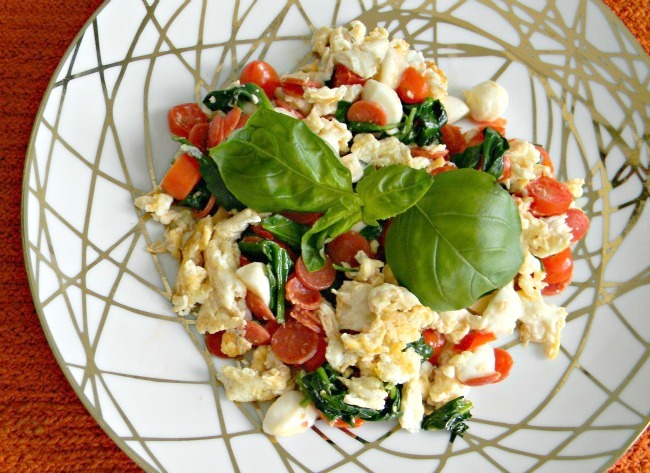 But if need a reason to justify having pizza with your morning coffee or OJ, make this Pepperoni Pizza Breakfast Scramble instead! What’s your favorite kind of pizza?